Music Alla Kaap 4 is a resounding success but where are the young people in the audience? I woke up this morning with the R&B group, Denim's catchy refrain " We gonna rise as a people, going higher and higher" ringing in my head. This is what happens after you had celebrated the power of local music at the Music Alla Kaap 4 concert at the Grand West Arena on Saturday evening. Local is indeed lekker. The theme of this year's concert was the celebration of our musical diversity and the rich talent of our emerging artists. The young artists and the seasoned artists performed side by side in an eclectic blend of opera, Jazz, R&B, hip hop and soul. An accomplished soprano dedicated the Ave Maria to the music greats who had shaped the path for the current and future generation of local musicians. Violence against another human being is wrong. Violence against another human being is wrong. It is evil. We must stop abusing our language and our silence to cover up our own damning prejudices. Once again, we have the horrendous manifestation of xenophobia in the spotlight. Ordinary people like you and me are forced to flee like animals because they are being attacked under the guise of their being foreigners. Most of us are horrified by this fresh spate of violence on innocent folk. Sadly, many of us want to pigeonhole these attacks as purely criminal activities. We say the brutal attacks on fellow human beings is criminal and therefore the perpetrators have to be punished. On one level, there is the comfort that our courts will deliver on this mandate. Those who broke the law will be punished. More concerning though, is that we have the Elephant in the room, a much more complex layer of attitudes and culture that has to be addressed. This is where we are getting stuck. Buskers add life to public spaces and to people. Buskers bring our cold cities to life. These creative street performers transform our public spaces into community centres. Have you noticed how strained people look when they walk in the cities or in the shopping malls? Yet, when there is a busker in the vicinity, you will see how a crowd forms spontaneously. Somehow, everybody will look relaxed and smile more freely. 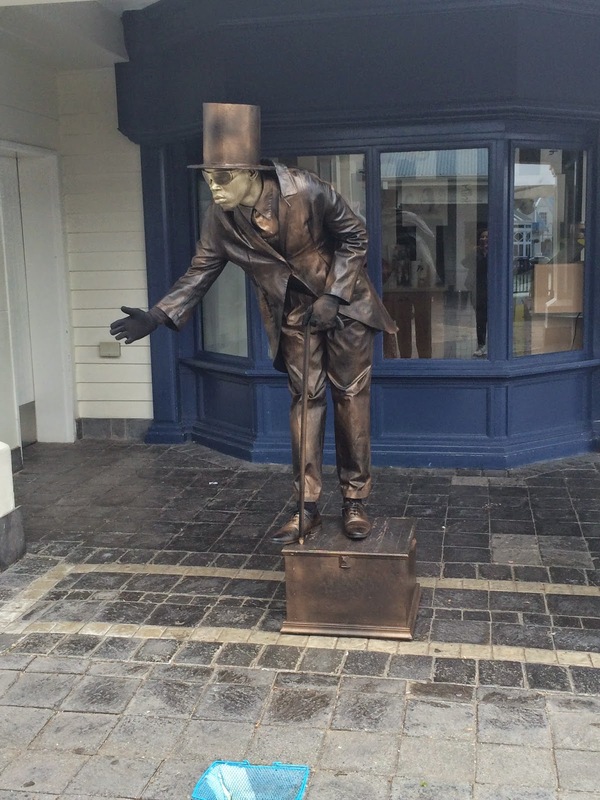 Street performers bring about this magic through their art. It doesn't matter where you are. Where there is a busker, there is a group of people who have been connected. My breathing has stabilized, finally. There is life after 1D. South Africa may be a dim memory for the 1D Boy band who is taking Dubai by storm in the next two days. The 1D hotties had probably forgotten about us AND I am glad they are out of my hair. Yesterday, 1 April, was 1D day for my 1 Directioner and all the other fans here in Cape Town. They say our Cape Town Stadium rocked with 1D energy and delirious crowds. There is still the after glow of last night's 1D concert , but we can be normal in this house, whatever that means. You will only understand if you have been living with five poster boys in your daughter's bedroom and if the smartphone is shoved under your nose to see another 1D fascination. Or if you feared for the collapse of the walls of your house when a 1D video appears on TV. Or, if all life in your car ends when the 1D songs play on the radio.